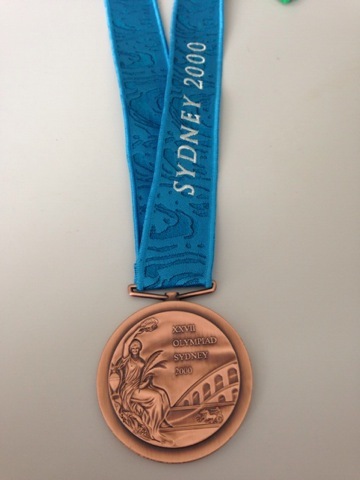 Admitted drug cheat, Lance Armstrong returned bronze medal that he won at 2000 Olympic Games in Sydney. He announced yesterday on Twitter that he gave the medal to the United States Olympic Committee and posted a photo of it. The American admitted to doping throughout the majority of his career, which included seven Tour de France wins, on January 17. Cycling’s governing body stripped him of all of his victories back to August 1, 1998, following the US Anti-Doping Agency’s Reasoned Decision last October. However, Armstrong kept hold of many of his winnings, including the Olympic medal. Then US Postal Service team-mate, Viatcheslav Ekimov (Russia) won the time trial gold medal ahead of Jan Ullrich (Germany). Abraham Olano (Spain) placed fourth. Ullrich admitted to doping and Olano, according to a French Senate inquiry, doped in the 1998 Tour de France. The IOC told Armstrong in January that it wanted the medal back. Pressure built in the last week for Armstrong to hand over the medal when committee officials clarified they were still waiting. Armstrong broke a long, 34-day Twitter silence to announce the medal hand-over. It was his second such break after he fell quiet for 35 days in February after admitting a doped career. He used the social media to defy critics and posted a photo of himself on his couch underneath seven framed yellow jerseys. Lawsuits and bad publicity have marked the last year for Armstrong. He settled recently with the Sunday Times, but faces bigger suits with the US government and Texas insurance company, SCA Promotions. A film about his success and recent troubles, The Armstrong Lie, debuted at the Venice Film Festival last week.